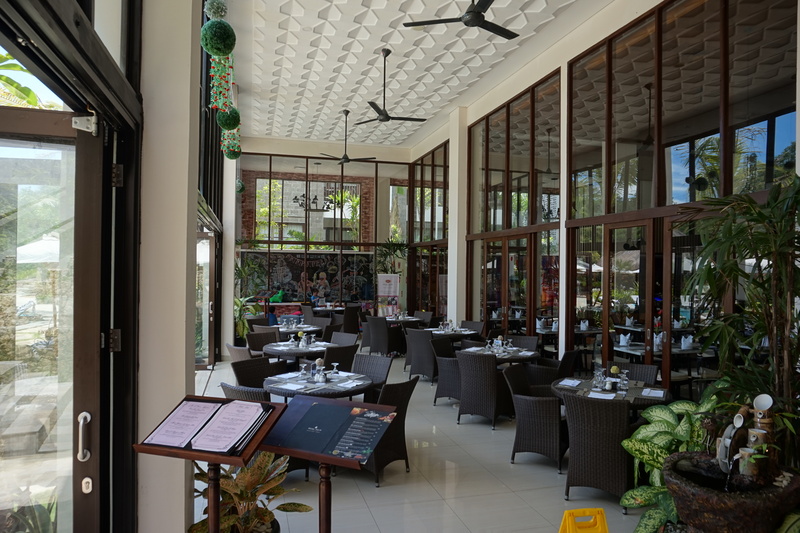 Conveniently tucked on a quaint space at Royal Tulip Springhill Resort – Jimbaran, with direct access to the resort’s main pool, Basil & Thyme invites its guest to enjoy exquisite taste of cuisine from various part of the world. The industrial-inspired interior of Basil & Thyme dining space is extensive and can easily fit large groups of people simultaneously. The size is necessary because it is also used as their buffet-style breakfast venue for in-house guests. 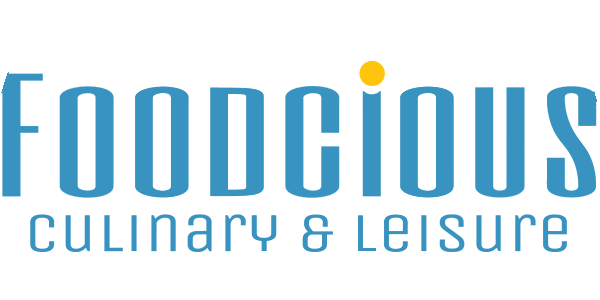 Large windows overlooking the pool /area and kids club attached directly to the side of the restaurant means every family members can do activities right after they enjoy their dine. 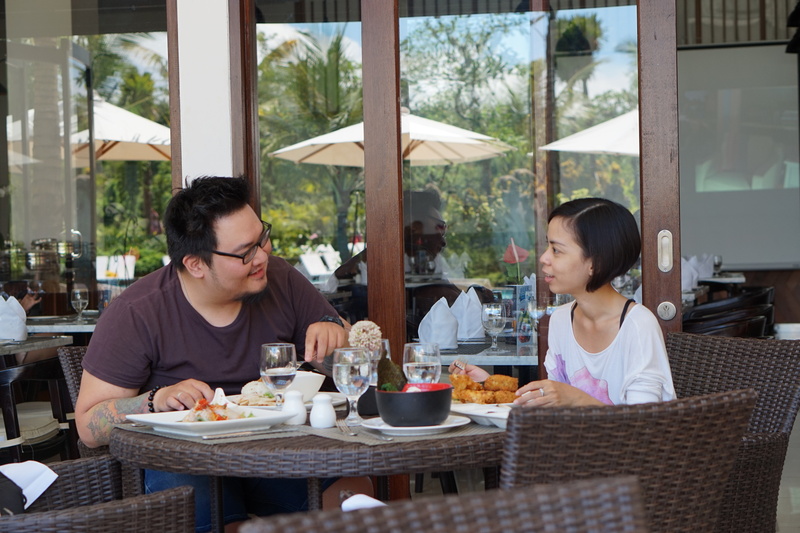 Breakfast buffet aside, Basil & Thyme also serves a wide variety of a la carte menu for lunch and dinner occasion. The dishes vastly formed by the best take of dishes from several countries around the world; Asian, Western, to European goodness, each made with quality ingredients and effort to maintain its authenticity. During my visit, I was offered some of their best meal, each representing a country’s indigenous grubs; for example the French Fillet Mignon with Butterfly King Prawn. The name itself is a giveaway for its origin, but it basically consists of thick beef tenderloin, grilled to perfection and accompanied by a pleasant twist of deep-fried beer-battered king prawns with enormous size and succulent taste. 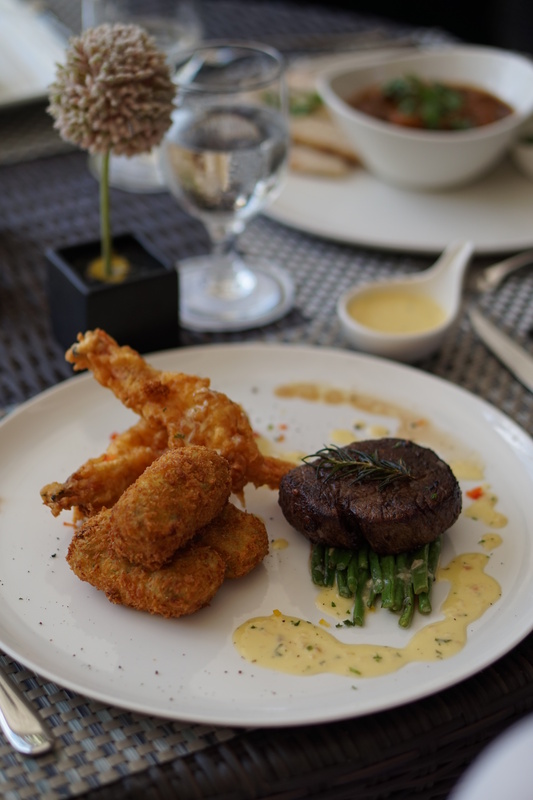 Served with a tasty pair of spinach croquette, this is a must-have menu for culinary enthusiast seeking for elegant European’s carte du jour. For their Asian variety, Basil & Thyme do understand how to appeal. Their Ramen Noodle pays tribute to one of Japanese most sought-out traditional dishes in a very satisfying way. The combination of soft-textured Japanese noodle, boiled egg, leek, crunchy seaweed, shitake mushroom, tofu, and warm broth blends perfectly with the meat of two variant; chicken or beef. 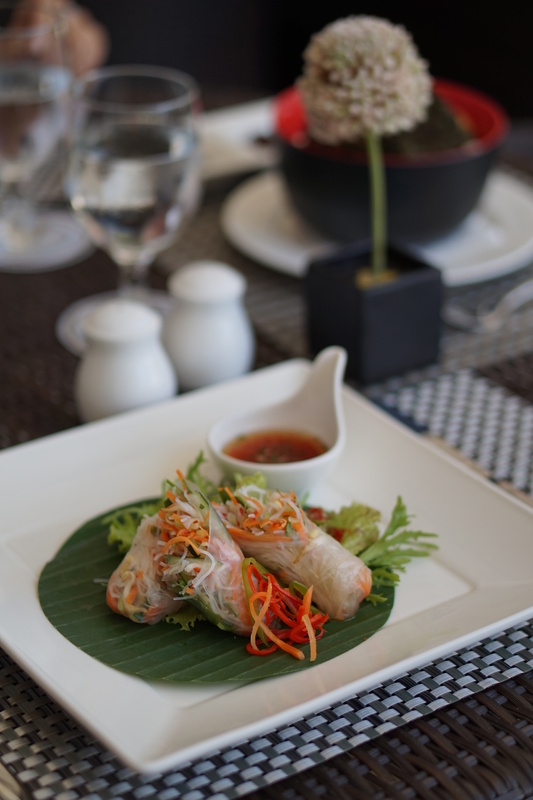 Another menu worth tasting is Vietnamese rice paper roll; a South-East Asian treat made from soft, thin rice paper roll filled with a variety of healthy vegetables and fresh prawn, best savored with the sweet and sour sauce condiments with a hint of spicy aftertaste. 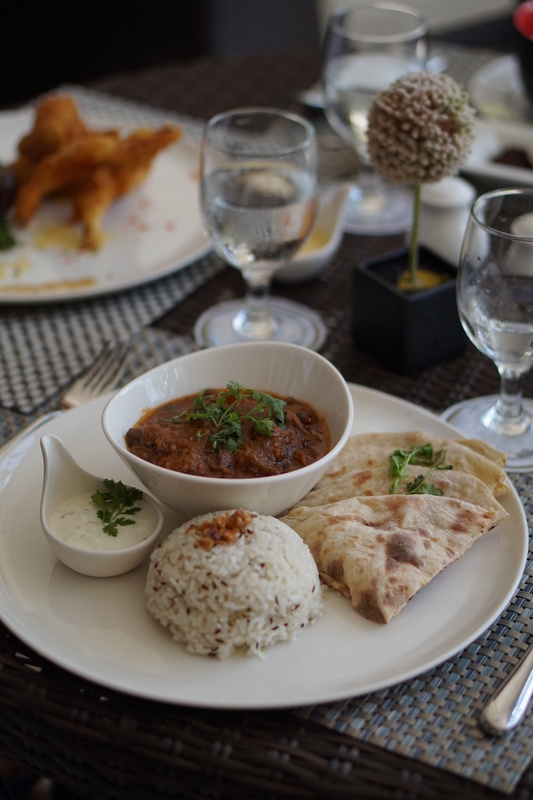 But amongst all of the goodness above, my personal pick would be their Lamb Rogan Josh; a portion of quixotic Indian feast; which consists of tender and juicy boneless mutton chop in buttery curry stew, accompanied with aromatic rice and slices of chapatti flatbread. It represents the best of Indian meticulous flavor in the generous portion; scrumptious, rich and satisfying altogether.